This new collection by the internationally known poet and translator Carlos Reyes adds to the rich treasure chest of poems from a restless and inveterate traveler whose work has taken us to Spain, Ecuador, France, Ireland, the Arctic, the Galapagos, Mexico, Panama, Italy, and now India. 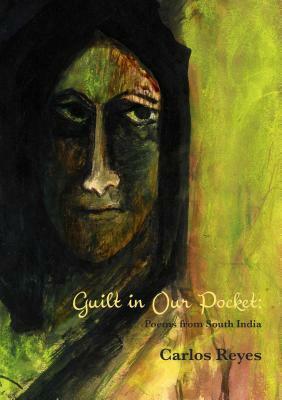 In these poems a talent for visual texture and detail, coupled with the poet’s familiarity with a huge variety of social and cultural matrixes, produces a close and sometimes troubling view of the contrast between American assumptions of privilege and India’s blend of fantastically rich culture and the bitterly desperate social and economic circumstances to be found there in the lives of common folk. I found this book while looking through a stack of books on a free book table in one of the English buildings on campus. I was intrigued because I’ve never read any poetry from India, so I brought it with me. I found this to be a little lackluster for me. I understand that the premise is to show that we, Westerners, are more privileged than those in impoverished countries, but this made me sad pretty much the whole time. Again, I get that that is probably the purpose of this poetry collection, but it was just very sad. where I am at the moment. This was my favorite quote because I agree with this! Home is wherever you are whether that be with being at college or traveling the world. You can have more than one home. This didn’t feel like it had a conclusive ending, so it left me hanging a little bit. I wish that the last poem would have wrapped up the collection a little bit more. I also don’t really feel as though I learned that much about South Indian culture while reading this, which is disappointing. So obviously travel is a huge part of his life, so I think he would be an interesting man to meet!